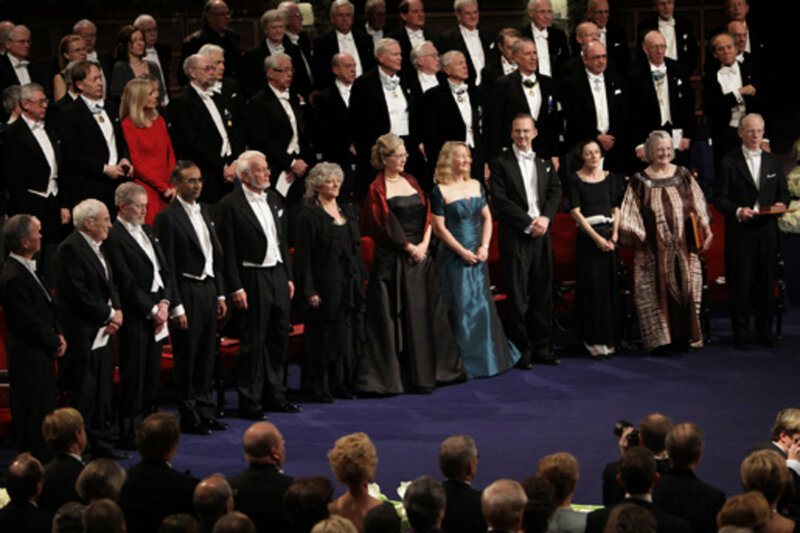 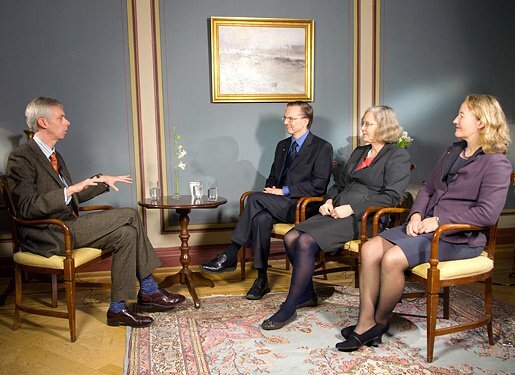 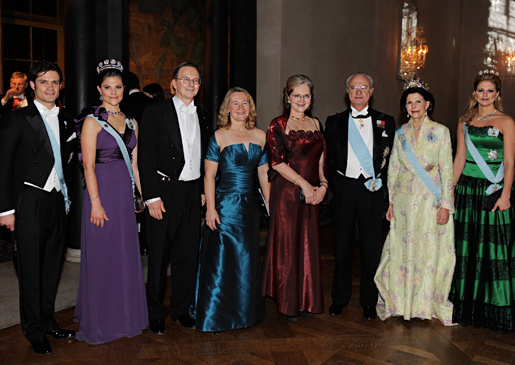 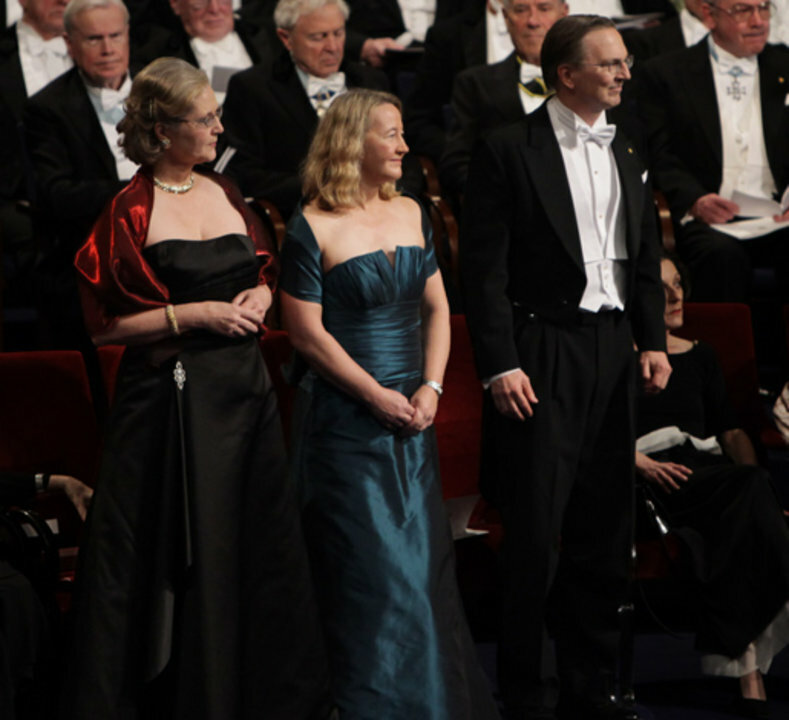 8 (of 20)	From left: Elizabeth H. Blackburn, Jack W. Szostak and Carol W. Greider after delivering their Nobel Lectures at Karolinska Institutet in Stockholm, 7 December 2009. 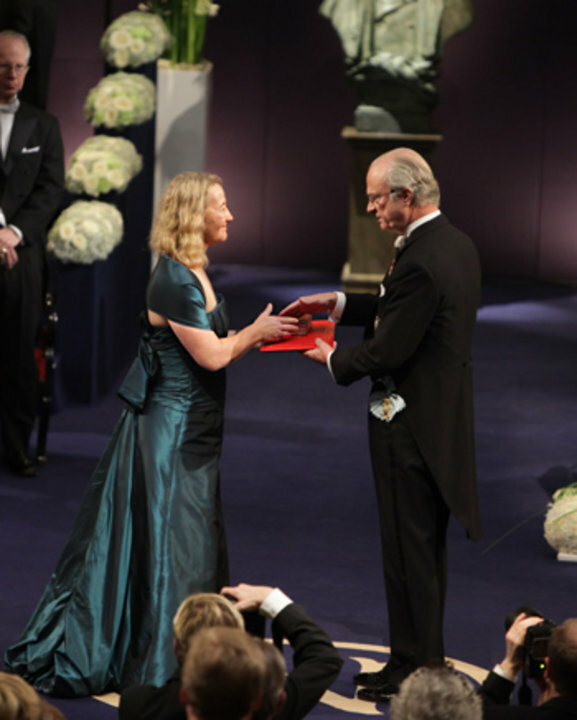 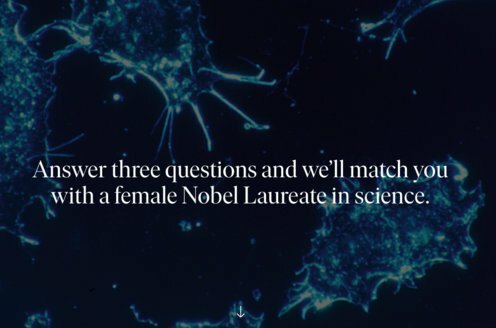 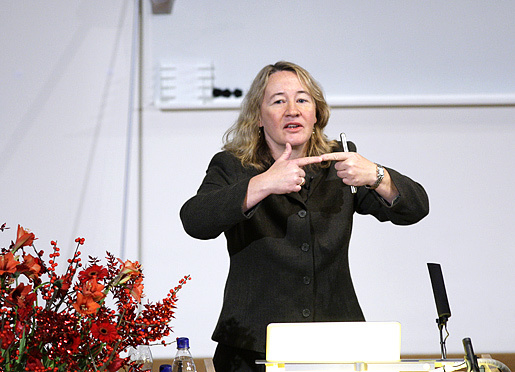 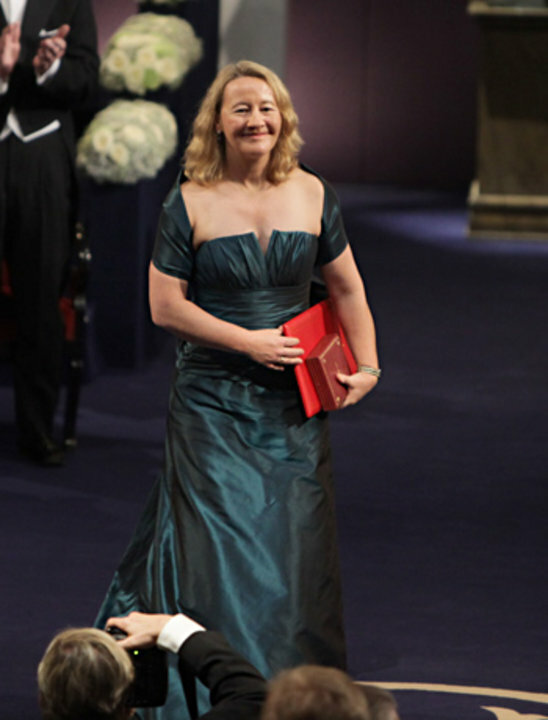 9 (of 20)	Carol W. Greider delivering her Nobel Lecture at Karolinska Institutet in Stockholm, 7 December 2009. 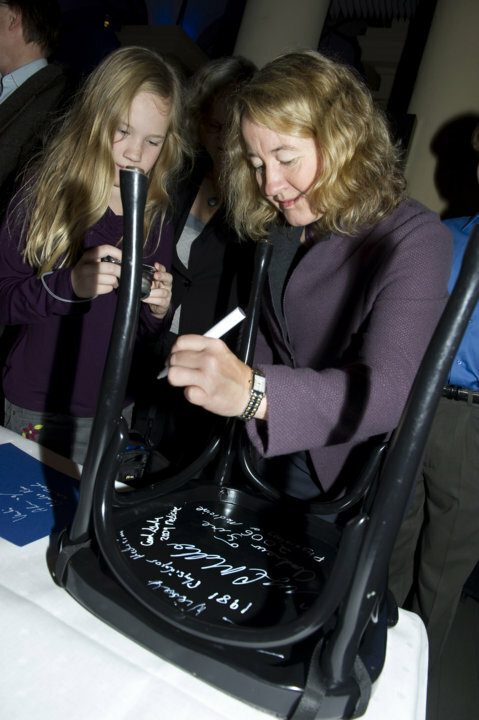 11 (of 20)	Like many Nobel Laureates before her, Carol W. Greider, as observed by her daughter Gwendolyn Comfort, autographs a chair at Kafé Satir at the Nobel Museum in Stockholm, 6 December 2009. 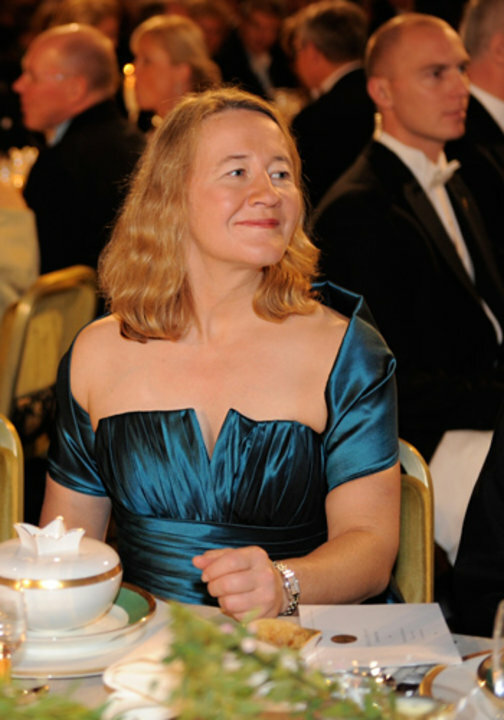 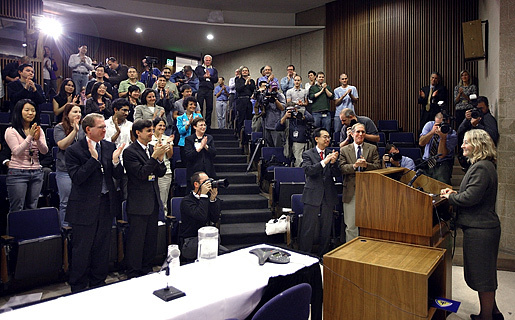 12 (of 20)	Carol W. Greider at the Johns Hopkins University press conference following the announcement of the 2009 Nobel Prize in Physiology or Medicine, 8 October, 2009. 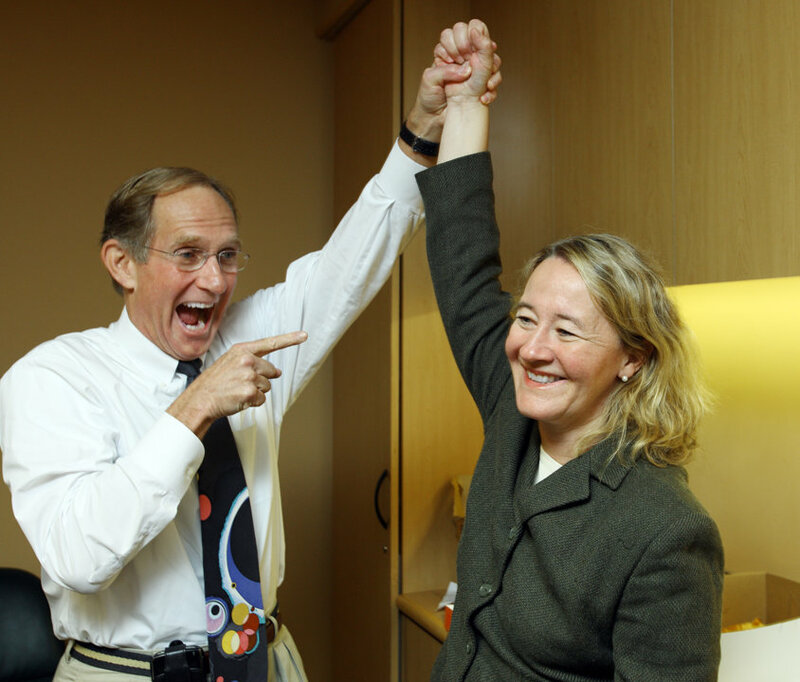 13 (of 20)	Carol W. Greider with colleague Peter Agre, the 2003 Nobel Laureate in Chemistry, at the Johns Hopkins University press conference, 8 October, 2009. 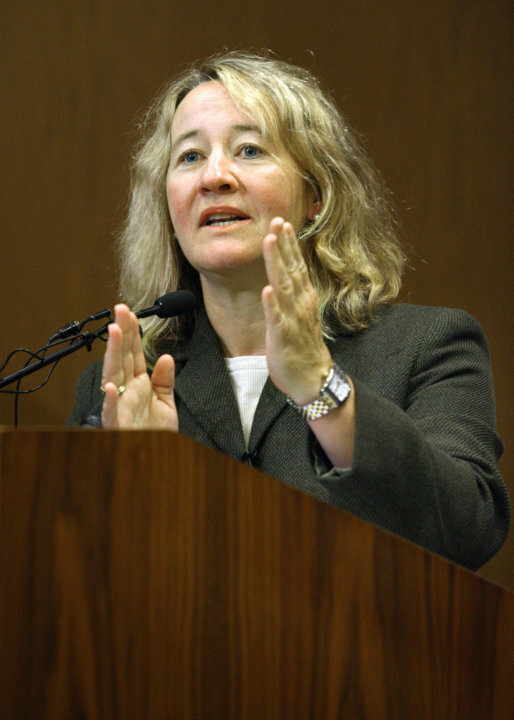 14 (of 20)	Carol W. Greider at the Johns Hopkins University press conference, 8 October, 2009. 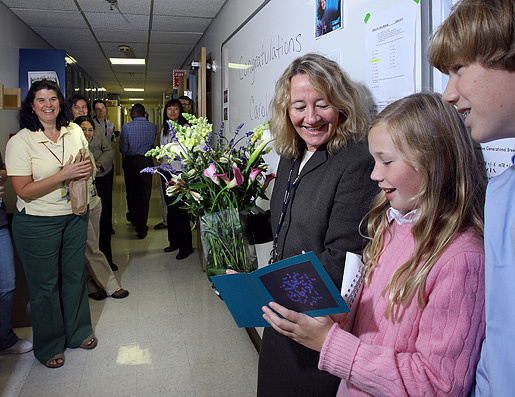 15 (of 20)	Carol W. Greider is greeted by her lab and children, Gwendolyn Comfort, 9, and Charles Comfort, 12. 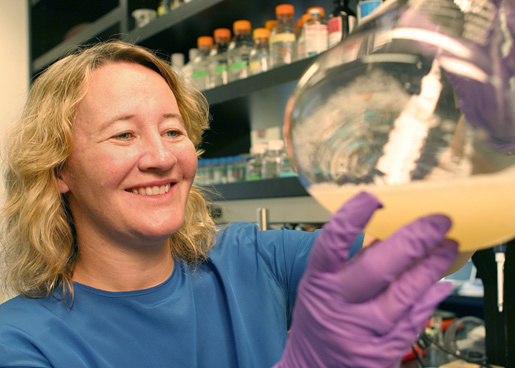 16 (of 20)	Carol W. Greider in her laboratory. 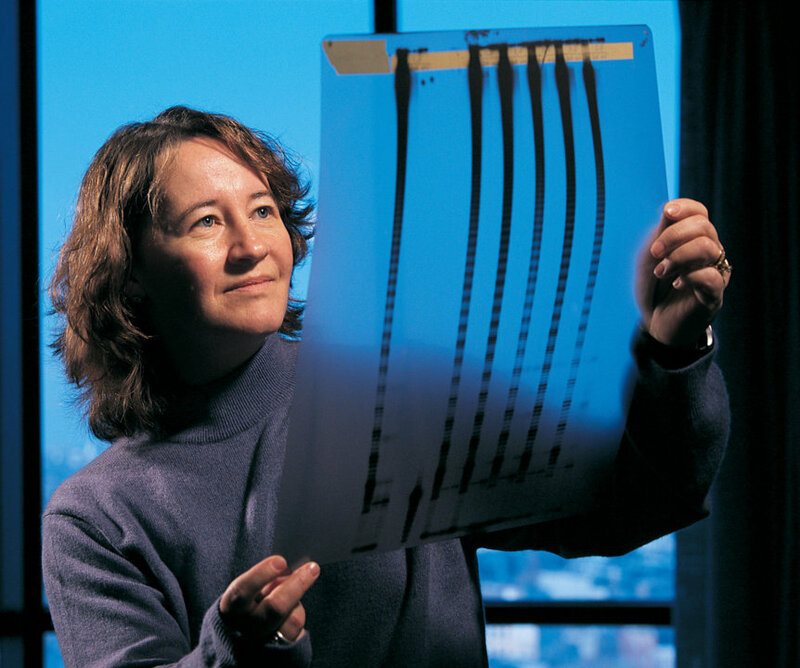 17 (of 20)	Carol W. Greider studies evidence of telomerase, an unusual enzyme that rebuilds the tips of chromosomes and ultimately determines the life span of cells. 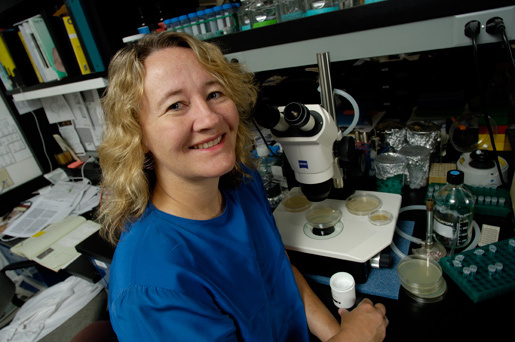 18 (of 20)	Carol W. Greider in her laboratory. 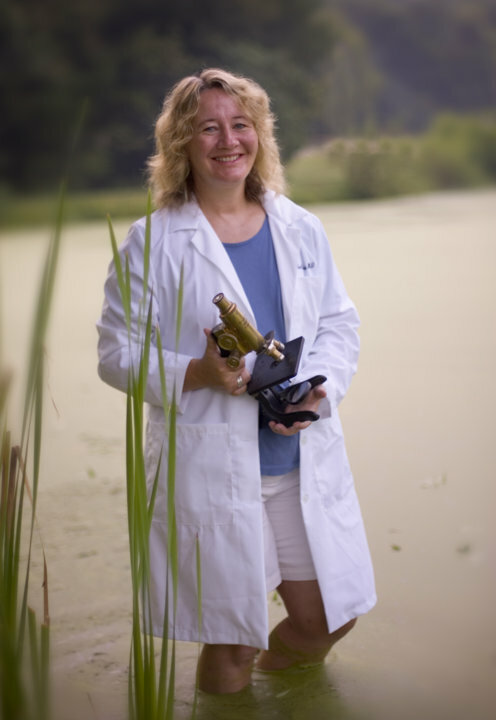 19 (of 20)	Carol W. Greider wades through the habitat of Tetrahymena, the single-celled pond dweller with 40,000 telomeres. 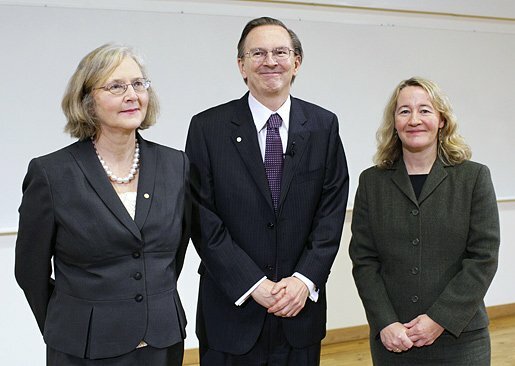 20 (of 20)	Carol W. Greider (left) and Elizabeth H. Blackburn (right). 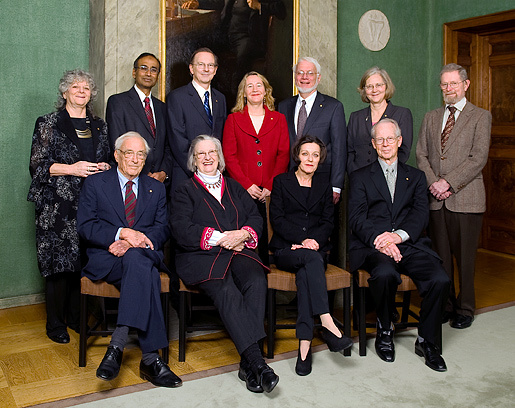 The photo was taken at the Goethe-University, Frankfurt am Main, Germany, in March 2009.